There’s so much to do at Glen Ivy that a little pre-planning will help you make the most of your day. 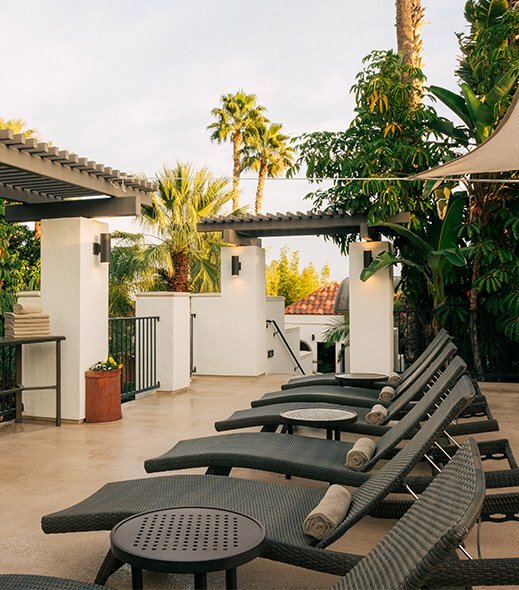 A day at Glen Ivy can include visits to all of our 19 pools, the saunas, a fitness class, a massage, facial or nail care service, a trip to Club Mud, a visit to the Grotto and lots of great food and drink. Your admission includes use of the 19 pools, saunas, classes and Club Mud. Massages, facials and nail care services are booked separately as is a trip to the Grotto. During the summer, Glen Ivy often reaches capacity within a couple of hours of opening. However, we do reserve space for guests who have booked a treatment. We recommend booking services 4 weeks in advance to ensure availability. However, you can check for cancellations throughout the day. Arrive 30-45 minutes before opening so you can find parking near the entrance, check in quickly and find a spot at a prime place near one of the pools or where the sun will hit the longest. INSIDER TIP: If you prefer to have the same lounge chair for the entire day, we recommend reserving a lounger in our VIP seating area. Here you’ll also enjoy hosted service from our Cabana menu. Loungers are limited and are $30/day. Or, consider booking a Cabana for the day. Cabanas are available for groups of 2 to 12 and are a lovely compliment to your special day. At check-in, place a credit card on file to simplify purchases throughout the day. Request a wrist-band for quick ID when purchasing alcoholic beverages. Have the freedom to use your phone number and first and last name to make purchases anywhere in the spa. There is no close out at the end of the day. Each time you use it, there will be an individual charge to your card on file and you will receive a receipt at the time of purchase when requested. 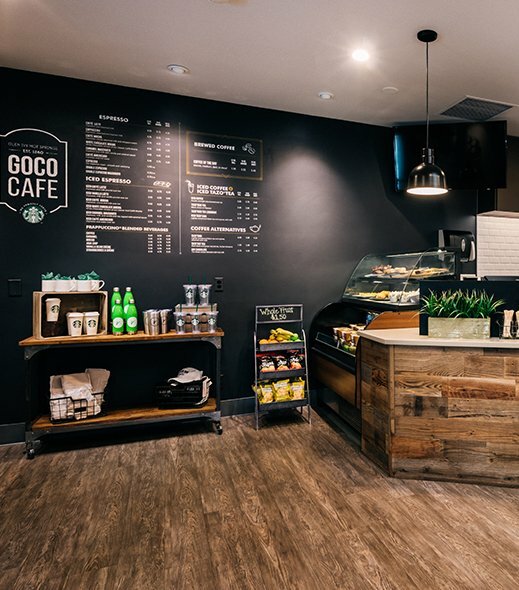 Start your day in GOCO Café with a pastry and coffee. We proudly serve the full line of Starbuck’s beverages. When you arrive, visit the Bath House to stow your belongings in a complimentary locker. Here you’ll find showers, steam rooms, our indoor Roman Baths and all the amenities you’ll need to freshen up at the end of the day (basic toiletries, shampoo, soap, lotion and hair dryers). We do recommend you bring sunscreen, flip flops, a dark swim suit for use in Club Mud, a hat and cover-up. Pack as if you are spending a day at a beach club. For a more spa-like experience, consider bringing a robe or rent one from us for $18/day. Towels and water are available at all times throughout the property. Think Mineral, Mud, Grotto. Or relax, exfoliate, moisturize. The mineral baths will relax your muscles and detoxify your body. 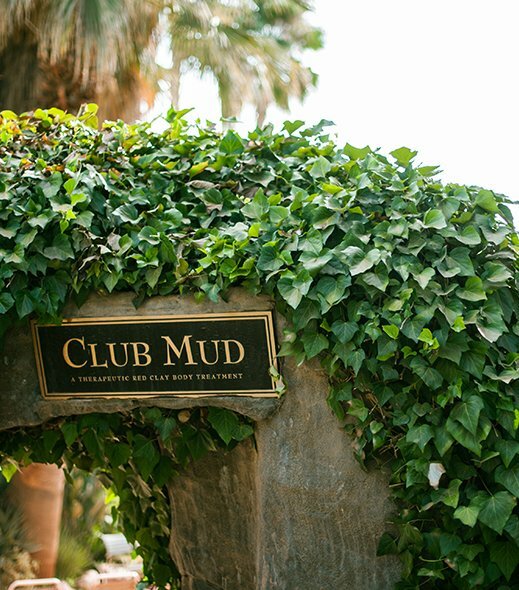 Club Mud will detoxify and exfoliate. The Grotto is a full-body moisturizing treatment. In between, relax at all of our pools, enjoy a fitness class and visit our Spa Lifestyle Store to take a piece of Glen Ivy home with you. If you have reserved a treatment, please arrive to your designated spa villa 15 minutes before your scheduled service and refrain from consuming alcohol two hours prior to your service. 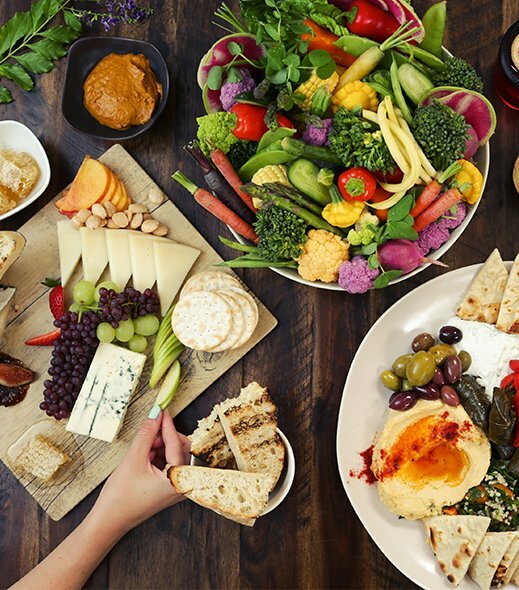 Delicious, healthy food is always available. Enjoy Breakfast, Lunch or a Twilight dinner at the Ivy Kitchen. Refresh with a fresh juice, smoothie or frozen yogurt at the Chill Zone. Enjoy a cocktail, beer or glass of wine at Lounge 1860 or grab a quick bite at GOCO Café. During peak season, expect higher wait times in Ivy Kitchen between the hours of 11am and 2pm. INSIDER TIP: To avoid the lunch line, enjoy breakfast at the Ivy Kitchen upon arrival and return for a late lunch after 2:00pm. The Ivy Kitchen is always open so you can avoid the crowds – dine in the “off hours” then you enjoy the pools while everyone else is having lunch. 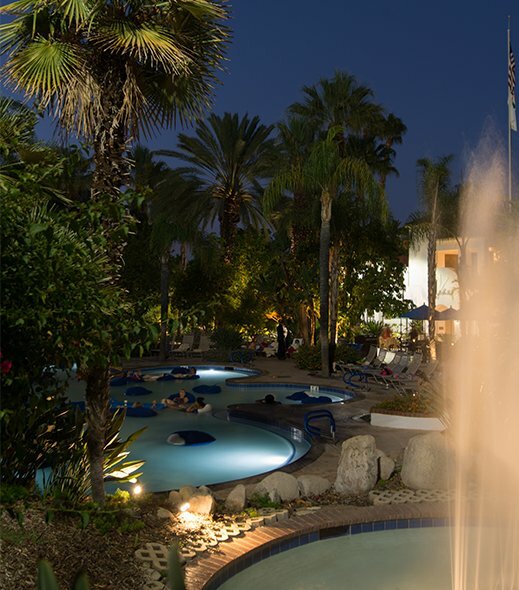 From May through October, Glen Ivy Hot Springs opens in the evenings. Our hours extend until 9:00pm on select nights and you can enjoy our facility for the entire day or arrive at 4:00pm for a reduced rate of $40 per person. Our Twilight evenings offer live entertainment and a special dinner menu and make for a lovely date night or evening with friends. A limited number of treatment appointments are available in the evenings. Please book well in advance if you wish to include this in your visit. 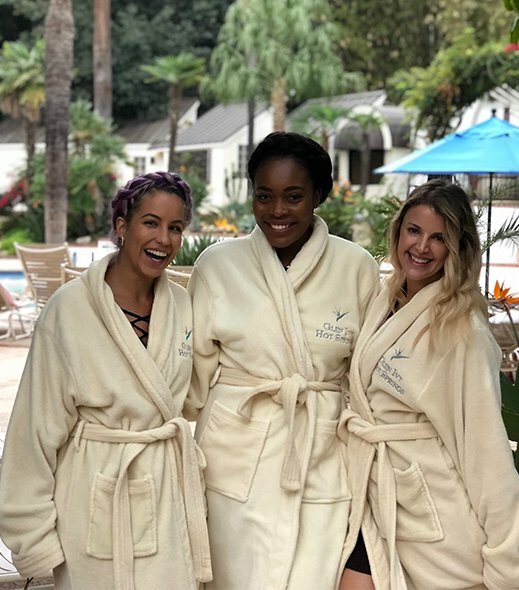 At Glen Ivy Hot Springs, we believe that everyone can and should enjoy their wellness day. Please be considerate of others and respectful of their experience. It is our goal to make wellness fun and to help every guest curate the wellness day they are seeking. We ask that you help us achieve this goal. Glen Ivy Gift Cards make the perfect gift for any special occasion. With a Glen Ivy Gift Card, you’re giving the gift of wellness and escape, relaxation and renewal. It’s the gift of time well spent. You’ll find all the joys of wellbeing here at Glen Ivy: nature, water, spa treatments, exercise, good food and friendship. We invite you to invest in your health and happiness with our Club 1860 Membership and make Glen Ivy a part of your everyday life. Still have questions? Visit our FAQ for answers to our most commonly asked questions regarding reservations, policies and things to know before you go.